From the kitchen of One Perfect Bite...I am inordinately fond of bread. As telling as this holiday list may be, the number of sweet breads I've chosen not to include is even more enlightening. Worse still, I've been testing new breads and will be adding a few more to the list before the Christmas holiday is here. It's not hard to tell that I've been seduced by those spores that cause flour and water to rise to poetic heights. The first time I read those classic words from The Rubáiyát of Omar Khayyám, my response was "Amen, brother." I was even willing to forgo the jug if it meant I could have butter with my bread. Actually, most of today's featured breads don't need butter, but its availability keeps panic from setting in. To make my Christmas list, a bread had to be delicious, but I also tried to pick ones that had a story to tell or memories that could be shared. I'll let you be the judge of how well I did. 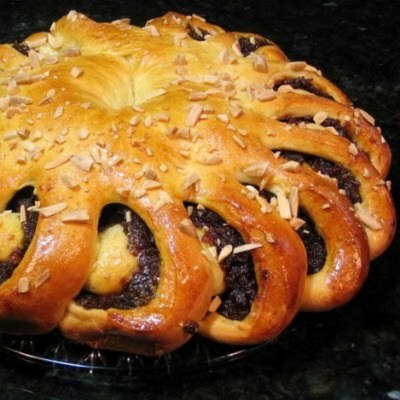 Here are my favorite Christmas breads. I hope you'll try them. I'm a bread girl too & the fresher, the better! Well, you know that I am a HUGE fan of bread as well so I LOOVVEE this list. So much variety here and so many breads that I haven't even heard of! Crazy. This is a great round up Mary. You give us the chance to see and recollect older recipes and posts. I kinda want to make... ALL of them! Perusing through your recipes I saw the one for foccacia, too. I am so making that :) It will be my savory X-mas bread. I am a bread woman too! I must get 80% of my calories intake from bread and olive oil! Love the stollen and panettone, hope I can mange one of those soon! You've really made a lot of fantastic breads to celebrate the season. Your Christmases must have been delicious ones. ahh those breads look DELISH! The butter is sitting out to start our stollen and here you are tempting me (my husband would be sending you kudos) with more bread recipes. 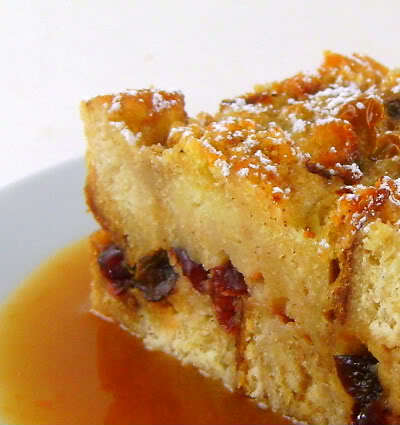 I've already traveled back to last December to check out your cranberry bread pudding that might easily replace our Christmas trifle. Or, give guests a choice. I think I'll wait on that Weight Watchers sign up = ) !! So prolific! These are gorgeous, especially those buns. They all look so wonderful, it would be hard to choose! But you have done the weeding out for us!! Wow, what a fabulous list! They all look scrumptious, but my fave is the Cranberry Bread Pudding. And love that orange Sauce, too! oh lovely! my husband just mentioned that he was craving some unique breads this season, this will come in very handy! WOW. thanks for the inspiration Mary. this is great, to have all these yummy recipes in one place. One special place. I don't know which recipe I want to try first! What a wonderful collection of holiday breads. 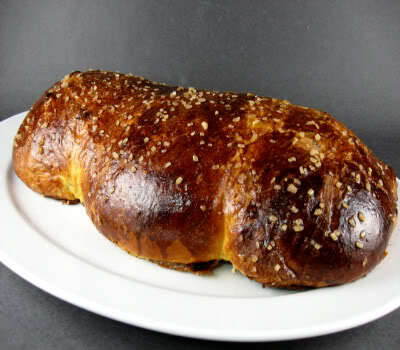 I am so eager to try those St. Lucia buns. This may turn into my project for the evening. Thank you so much for sharing! Have a good Sunday afternoon. This is SO awesome! I love resource posts like this! Beautiful breads Mary! Thank you! Mary, What a beautiful blog you have. You are now my blogging idol. Those breads look fantastic- everyone of them. All I can say is WOW. All look delectable. 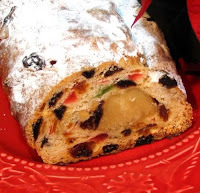 I have a fondness for stollen, because my German aunt used to make it. 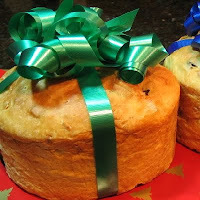 I've also always had a desire to try Panettone. 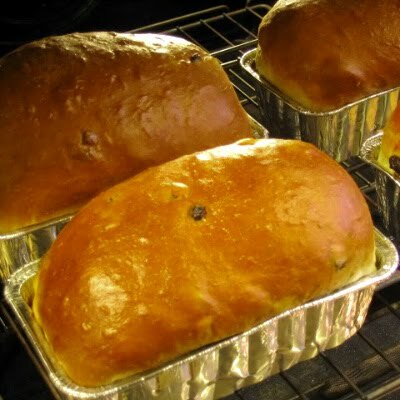 This is a lovely round up Mary!Can't wait to try one or two of these yummy breads. Another great list, thank you for reminding us of all your great baking!!! These is so lovely! Freshly baked bread for xmas, great! Oh Mary, that is a fantastic round-up...all of the breads look fabulous...SO SO yummie! Great roundup! I love bread but I hate baking them myself! Any one would be so welcome come Christmas morning!! I love giving different breads as gifts around the holidays--I might have to use some of your recipes. Thanks for the great post! I could eat my weight in bread, I love it so much! I love that these are not the standard breads other people post!! Thanks for sharing, they all look wonderful! Thanks so much for doing these roundups. WHen you have a body of work as extensive as yours, it's great to put them all on a page for the holidays...and such a fabulous collection it is. Love christmas breads on Christmas morning!!! Oh wow! Fabulous! 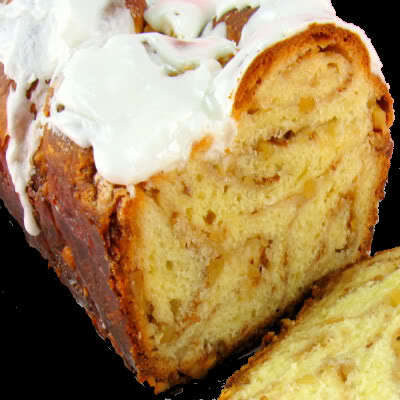 I've always wanted to make Santa Lucia buns and that Walnut Swirl Coffee Cake is calling my name. What a beautiful roundup and so many I want to make! Every pound that I am is bread and pasta! The round-up is grand - I do panettone and am considering the St. Lucia buns. I share your love of bread! I've already consumed 2 loaves of (store-bought) pannetonne this season. I just bookmarked this post. I'm glad you shared this, Mary, what a beautiful round-up! That Walnut Coffee Cake looks wonderful! 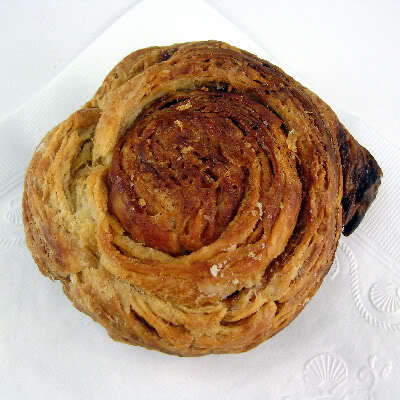 love to tell you that i'm following you..all of your breads in the round up look fabulous. love that! Thank you so much, Mary! I've been looking for a good stollen recipe, and the St. Lucia buns are just too tempting! What a great list of breads. 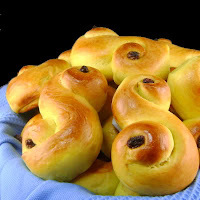 I just made Lussekatter "Saffron Bread" and love them. Are you Scandinavian at all? Happy Lucia today!